NFC stands for “Near Field Communication” and, as the name implies, it enables short range communication between compatible devices. This requires at least one transmitting device, and another to receive the signal. A range of devices can use the NFC standard and can be considered either passive or active, depending on how the device works. 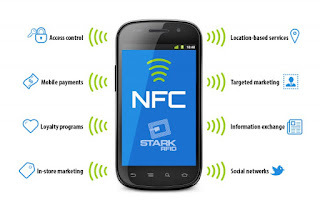 Passive NFC devices include tags, and other small transmitters, that can send information to other NFC devices without the need for a power source of their own. However, they don’t really process any information sent from other sources, and can’t connect to other passive components. These often take the form of interactive signs on walls or advertisements. Active devices are able to both send and receive data, and can communicate with each other as well as with passive devices. Smartphones are by far the most common implementation of active NFC devices, but public transport card readers and touch payment terminals are also good examples of the technology. Do i have NFC on my phone? Not all phones and tablets have NFC. Does yours? How do you check if it’s there? On your Android device, tap on Settings. 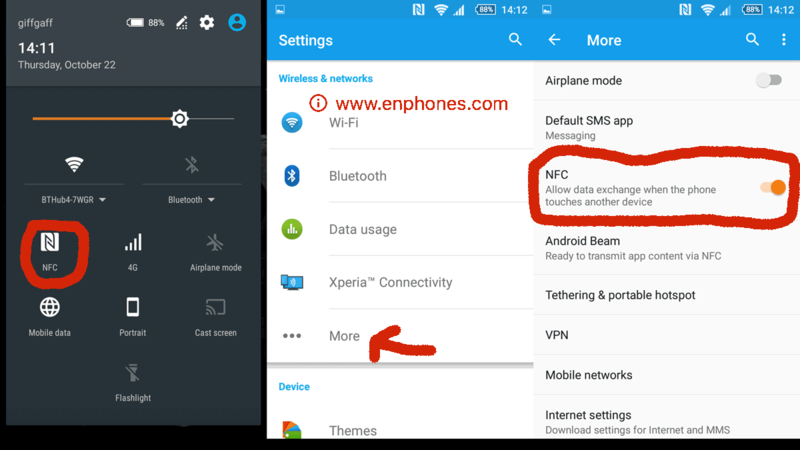 Scroll down and you should see NFC and Android Beam options. 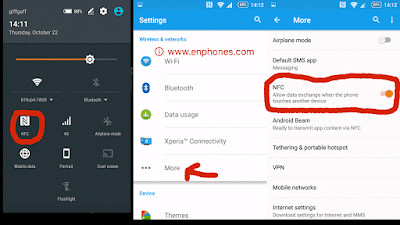 how to use NFC to transfer files? Both sending and receiving devices must have NFC and Android Beam activated. Neither of the devices should be asleep or locked. You’ll get both audio and haptic feedback when the two devices detect each other. Do not separate your devices until the beaming has started. You’ll hear audio feedback when the file or content has been successfully beamed. At this time, the ability to share content is limited to small files. Regardless, you can still send content or file types such as web pages, map locations, and contacts with no trouble.